Pastor White of New Blackjack Baptist Church took us way out in the country west of Carthage, Mississippi to a little run down building called "Maydro's Seafood Kitchen". The building was shabby but the food was outstanding. I give this place 5 stars. It was well worth the drive. I marked it on my Street Atlas so I can find it again someday. I spent most of my evening updating my blog on SteveBrownMinistries.com/blog. I have been behind for several months so it is taking a lot of work to catch it up. I only lack 4 meetings having it caught up. Our friends, Evangelist August and Patty Rosado took me over to Carthage, Mississippi this evening for supper at the Big Horn Steak and Fish House. That was a special treat for me. Here are a few pictures of our little cabin on the pond back in the woods that we are staying at while at the New Blackjack Baptist Church in Philadelphia, Mississippi. The only problem is the millions of centipedes shown in the last picture. We enjoyed another great night at the New Blackjack Baptist Church in Philadelphia, Mississippi. We had a young lady get saved tonight during the invitation. The pastor treated us to mexican food after church. It's been raining all evening. It just can a downpour a few minutes ago. I stayed in bed until about 1:30 p.m. this afternoon. I am trying to shake this cold. I think I do feel better tonight. Brother August Rosado preached a powerful message again tonight. I really enjoy his preaching. It seems that I have come down with a bad cold. I feel rotten. Patty gave me some Air Health from WalMart to help me get over it. I also went to WalMart and got some stuff for a cold. I did an unusual thing this afternoon. I took a long nap. I was hoping it would help me get over this cold. One of the ladies in the New Blackjack Baptist Church had an extra house in the woods on a small pond and allowed me to stay there while in the Prophecy Conference. I love it down here in the woods with the ducks swimming around on the pond. The pond is less than 50 feet from the front door steps. I spent the day setting up at the New Blackjack Baptist Church in Philadelphia, Mississippi. August and Patty Rosado, Evangelist with "Today In Bible Prophecy Ministries", arrived this afternoon and are staying with me in the cabin in the woods by the pond. We slept in a little extra this morning because of our late night pack and load last night. I headed to Philadelphia, Mississippi and Mary headed home to be with the family. I am dreading the next two meeting without her help. Tonight closed out the 2009 Summer Jubilee at the White Oak Springs Baptist Church in Dallas, Georgia. Several men from the church helped up pack up our equipment and loaded it into our KIA Mini-van. I got to the motel about 1:30 a.m. I am beat. We had the rare opportunity this afternoon to make a DVD and CD for a Missionary Family with 8 children. The children all play instruments and the whole family sang so beautifully together. We made the first chapter on the DVD of them singing in Spanish. The second chapter was instrumental and the third chapter was the same songs sang in English. At the same time we made a CD with over 62 minutes of beautiful music. I can't wait to hear it. Too late tonight. Maybe tomorrow. Danny Joe Waters went to church with us when he about kindergarten age. He use to play with our son Robby. It was a great surprise that he showed up at the Summer Jubilee in Dallas, Georgia. He goes by Daniel Waters now and he blessed out hearts tonight with beautiful songs and testiony. The church got happy and people were all over the altar during his singing. We are anxious to hear him preach tomorrow. We made our way from Tupelo, Mississippi to Atlanta, Georgia this afternoon. We caught this sunset after supper over a little town west of Atlanta called Villa Rica where we are staying. Mary shot the helicopter pictures just before we left Little Rock. There are a bunch of saw blades hanging from the helicopter that he uses to cut limbs along the power lines. We started packing and loading this morning with hopes of leaving by about noon or so. I took time to fill up the hole that I dug to repair the water line and install a new yard hydrant. We pulled out of our driveway at 6:40 p.m. this evening. After a stop for some food in North Little Rock we left town at 8:15 p.m. I wanted to make it to Birmingham but I gave up and we stopped in Tupelo, Mississippi at Midnight and spent the night at the Howard Johnson. The Wi-Fi is fantastic. It is about 4.7 mbps down and 2.5 mbps up. Oh how I wish we had that everywhere we go. We are trying something new on our next trip to churches around the country. I spent the day designing DVD Album covers and DVD Labels. We are going to offer complete sets of DVD's in an album at a slightly reduced price over buying the DVD's individually. I hope the nice album will help people buy the whole set of DVD's at our meetings. We head to Dallas, Georgia tomorrow for a 5 day Campmeeting. We will make 10 DVD's for this meeting and offer them in a nice album for $50.00 each. Our Interim Pastor at Heritage Baptist Temple did an outstanding job today. Check him out on our Media Archives. I think it is the best messages that I have ever heard him preach. It is so good to see God work through His people. We enjoyed our day at church. We did a very unusual thing for us. We stayed home all day long. I signed up a new CampMeeting at the Way of the Cross Baptist Church in McDonough, Georgia today. We are hoping to stay with Darrell and Leila's home during this meeting. We'll be going there at the end of August. We spent a lot of time learning our new phones today. It is hard to image that they can cram so much stuff into a little phone. My old HTC Mogul has been causing touble for the last few months so I went to Sprint and got the latest HTC Touch Diamond. So far so good. I have spent a lot of time the past couple days writing PHP code for the Heritage Baptist Temple website to handle the video and audio archives. I went up to my brothers house (David Brown) this afternoon to show him how to use the code. He is the webmaster for the Heritage website. Lee came up this afternoon to help me fix the brace on the bush hog. He has a nice wire welder but I did not have a clue as to how to use it. I helped him get things ready and he welded it. I love that wire welder. Much nicer than the old electric welder. I got most of the yard bush hogged this evening. We had a wonderful day at our church today. Our pastor of Heritage Baptist Temple recently resigned and tonight was his final service. We enjoyed great fellowship after church at the farewell party in the gym. I think our attendance was about double tonight with lots of people wishing pastor David W. Smith the best as he leaves. He has been pastor of Heritage for over 13 years. Our grandson, Drew, has worked hard this summer mowing grass for folks in the neighborhood. He spent some of his hard earned money and brought fireworks for us all to enjoy tonight. He let all the kids take turns lighting them. It was a nice fireworks show. Thank you Drew. This is turing out to be a huge task. I am trying to organize all our DVD's so we don't have to carry so many on our trips. I want a nice display with as many as possible but there are so many we can not carry them all in our van. I spent a big part of the day unloading equipment and sorting through hundreds of DVD's. I am trying to get the number of DVD's down to something reasonable for our display table at our next meeting. We have been shooting video of various Church meetings for about 19 months and we have an awlful lot of DVD's available now. 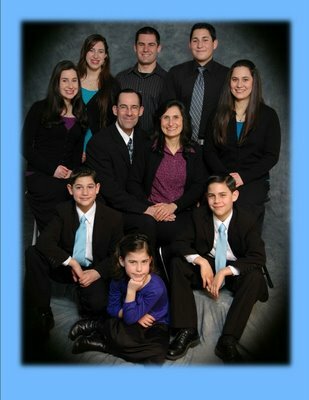 You can see them all listed under the archives on our website at SteveBrownMinistries.com. Drew called this afternoon in tears and was scared for his daddy. I went up there and spent the evening with them. Lee is not doing well at all. We all tried to talk him into going to the doctor but he just wanted to rest. All we new to do was keep checking on him.